Personal Education, Guidance and Support for people affected by a cancer diagnosis in the NYC area. Personal Education, Guidance and Support for individuals affected by cancer in the NYC area. If you or someone you care about has been diagnosed with cancer, chances are you need more individualized assistance than the healthcare system can provide. Every person affected by cancer is different. PEG’S Group will work with you to understand your unique needs, wishes, fears and goals. We will collaborate with you in striving to increase your chances of survival, maintaining your hope and prioritizing your quality of life. At a time when you need it most, a Cancer Navigation Consultant™ can be a reliable ally who you turn to for information, guidance, and support. 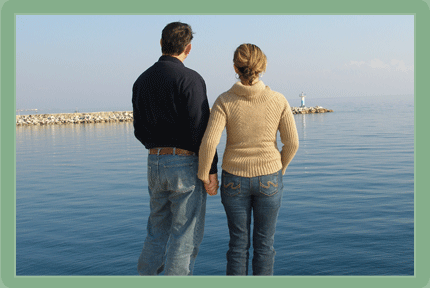 Cancer Navigation Consultants™ can help you identify and choose your best options. Find out how we can assist you in navigating your life while managing your cancer. "As a Medical Director, I worked with Kathy Gurland on a daily basis for three years. She is caring and utterly competent, but her tenacity in pursuit of the patient's needs is a rare gift. I would want no other on my side. " Getting professional help at a time when your situation is emotionally charged can make a significant difference in the outcome. Read how others have benefited from our assistance. A cancer diagnosis invades every aspect of your life with an imposed sense of urgency. This devastating revelation thrusts you into the healthcare system, forces you to interpret complex information, make pressured decisions, and re-assess how you manage your time, your finances and your life. Challenges of this magnitude can produce feelings of being lost and out of control. A Cancer Navigation Consultant™ can guide you through the intricate decision-making challenges that accompany a life invaded by cancer.
" PEG’S group offers a revolutionary service that will help those dealing with cancer in an innovative and absolutely essential way, greatly lessening the challenges they face and the negative impact on their quality of life. " - Natalie Schnaitmann, LCSW. Director of Operations, Biller Patient and Family Resource Center; City of Hope, CA.
" We can't rule out ovarian cancer”.....those were the scary words that had my head completely spinning. I was so overwhelmed I couldn’t think straight and since I had never dealt with something like this before, I had no idea on the next steps to take. " Most of us strive to be independent and to manage our lives with a sense of control that assures us we are reaching our life’s goals and desires. But when you or a loved one suddenly receives a diagnosis of cancer, you are thrown into a world of vulnerability and uncertainty. A Cancer Navigation Consultant™ can provide supportive one-to-one counseling to give you the strength to face these challenges. * Because people who send spam e-mail, obtain the e-mail addresses from random web sites, we no longer publish our e-mail address online. PEG'S Group provides in person sessions for clients in the NYC area in your home, workplace or in our office in Brooklyn. Telephone and email consults are available for people living elsewhere in the U.S. Copyright ©2008 PEG'S Group. All rights reserved.